Rooms are spacious, modern and contemporary, and include room service and wi-fi. 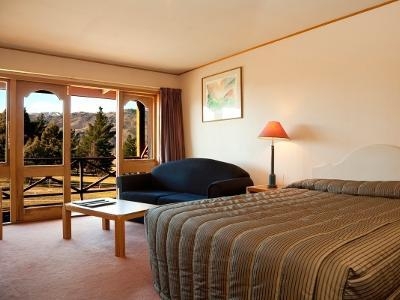 Substantial lodge accommodation beside Cromwell Golf Course. 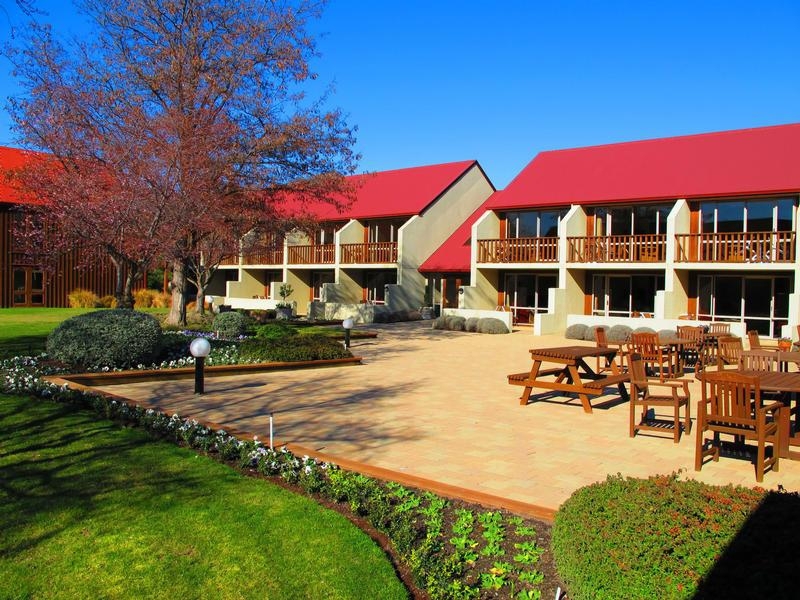 47 rooms set amongst vineyards and orchards. Excellent corporate and leisure facilities, in a gateway location. 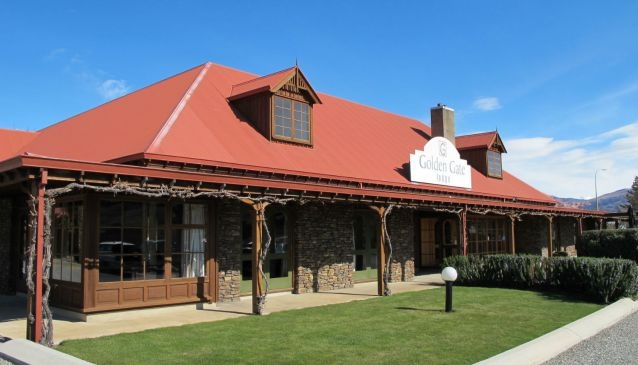 Golden Gate Lodge borders the 18-hole international Cromwell Golf Course. 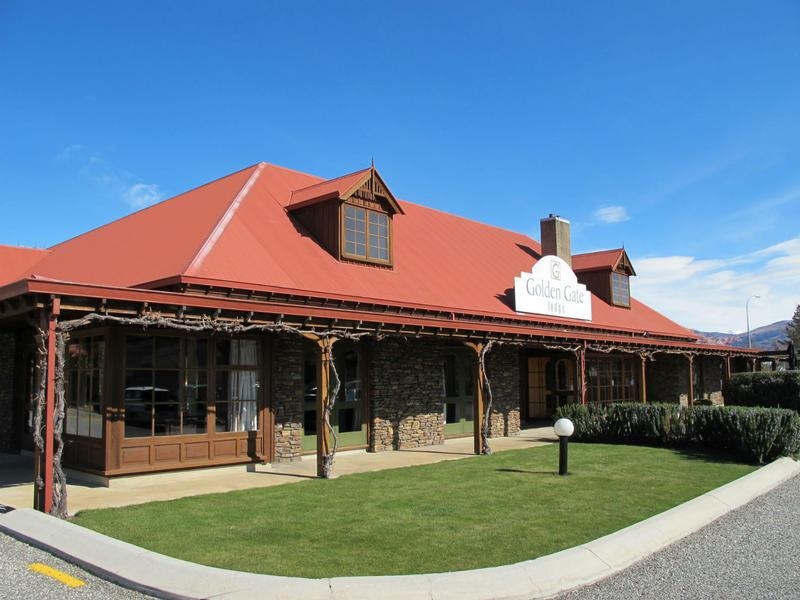 The Lodge offers easy access to the pretty and historic towns of Cromwell, Bannockburn and Clyde, and is the ideal base from which to explore the famous Otago Central Rail Trail. 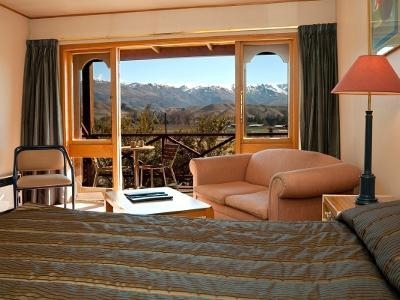 Rooms are spacious, modern and contemporary, and include room service and wi-fi. Other facilities include an on-site restaurant, gym, bars and meeting rooms. Tranquil, picturesque, and very well appointed. Dunstan Wing - vineyard-facing rooms, with parking outside the door. Dunes Wing - overlooking the golf course, east facing for amazing sunrises. Courtyard Wing - inward-facing, close to the conference centre. * Studios with king/queen beds, tea/coffee, ensuites, tables and chairs, SKY TV, outdoor table and chairs, bar fridge, hairdryer, iron, telephone, wi-fi, heaters. * Larger studios - with added dining table and microwave/utensils. * Disabled suites - with access bathrooms. * Spa Suites - spacious rooms with jacuzzi.